In that post, I used Nova Launcher as an example throughout much of the guide. But in my post today, I want to bring attention to a launcher that draws inspiration from the well-established Ubuntu operating system for its design and implementation. 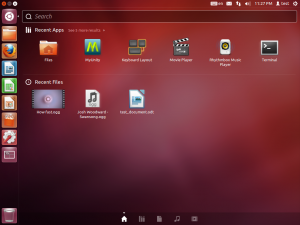 As an aside, Ubuntu is a desktop and mobile OS built upon the Linux kernel like Android, but it features a much different user interface and experience. 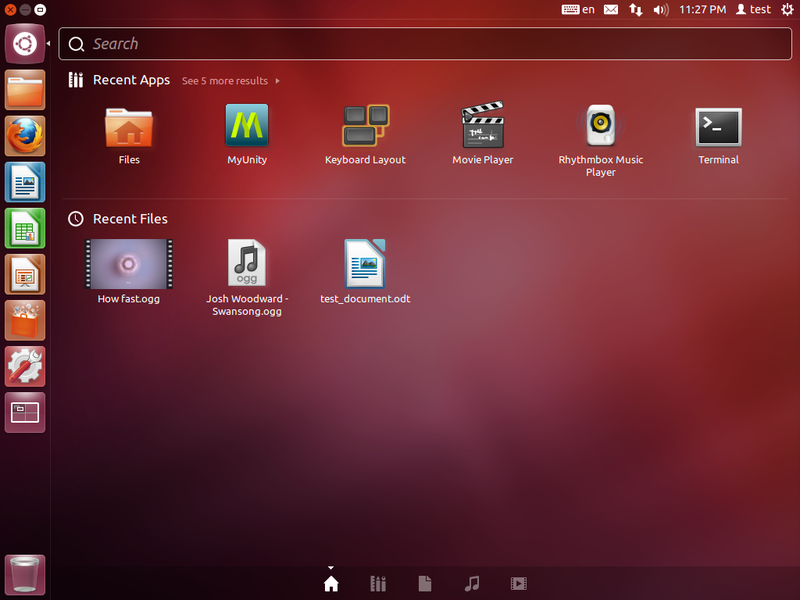 Canonical, the organization that maintains Ubuntu, has made available for installation on a few Android devices, such as the Samsung Galaxy Nexus and the Asus Nexus 7, developmental versions of its new mobile version of Ubuntu; but for our purposes, we do not want to have to install an entirely different OS on our devices just to experience what is known as the Unity UI that Ubuntu features. Instead, we will simply install a launcher that emulates it! Unity UI features a hidden, vertical side bar the height of the screen that reveals itself when you hover over or touch the left side of your screen. When you move your mouse pointer or finger away, the bar becomes hidden again, leaving the entirety of your screen for use by the home screen setup of your choice or the application you have open. The bar contains the apps you choose to pin to it and can act as a less cluttered alternative to your app drawer or even your home screen dock. 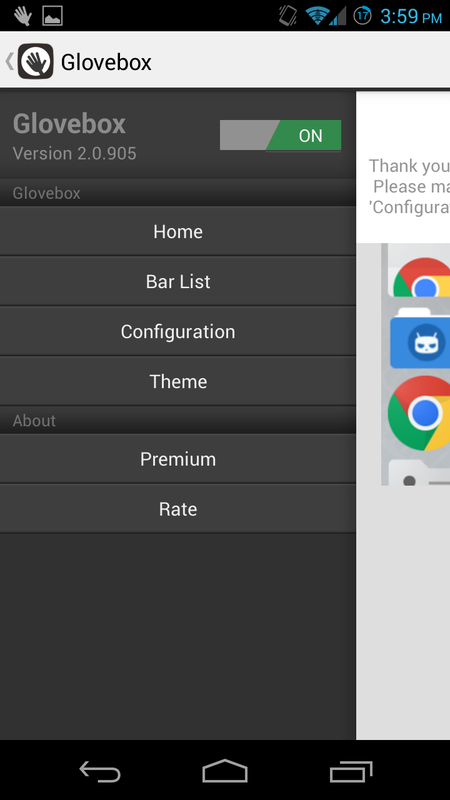 The launcher we will install is called Glovebox and it is fairly minimalist in that it does not replace your home screen as it is now in the same way Nova Launcher or another similar launcher might. 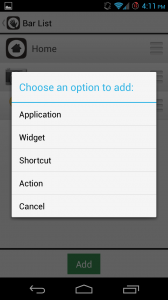 Rather, it acts as an extension of the launcher you already use, thereby allowing you to use it in conjunction with the default system launcher or your launcher of choice. After downloading and installing Glovebox, open it and you will be greeted with the Home section of the app. To open the app menu, select the icon in the top left corner of the app. The welcome message encourages you to check the Configuration section before using the app to adjust the settings to your liking. To provide you with an incentive to purchase the full version of the app, the developer has restricted access to certain settings, but the most important ones seem to be available. As you can see, a red bar persists on the side of your screen while you adjust the settings in the Configuration section. The bar represents the area of your screen that you must touch and hold to access the Unity-like app bar. Under the Margins section, you can adjust where the red bar begins and ends and under the Sensibility section (by which I can only assume the developer means “Sensitivity”), you can adjust the width of the bar. 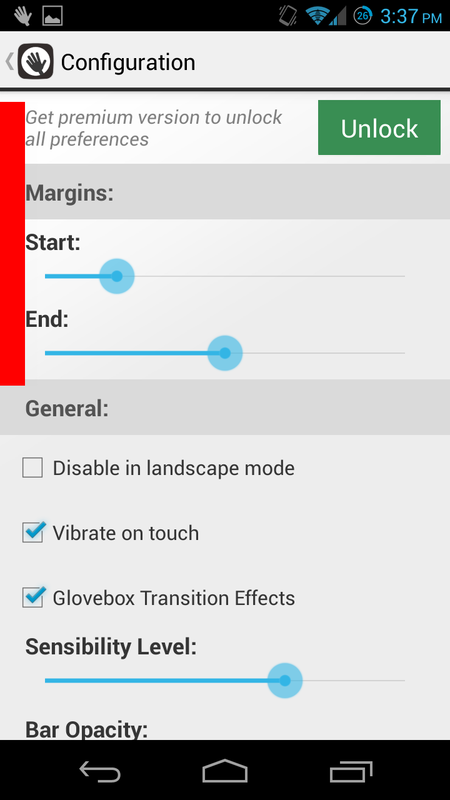 Doing so allows you to specify where exactly and across which area your touch reveals the app bar. 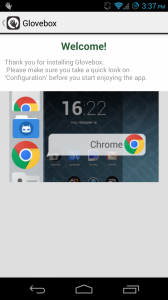 Otherwise, the developer provides you with a few other handy options, such as choosing to have the app bar situated on the right side of the screen and disabling the persistent notification to indicate the app is functioning (which, by the way, Google disallows in its app development guidelines regardless). Next, you will want to enter into the Bar List section to select the apps and other entries you wish to have pinned to the bar. 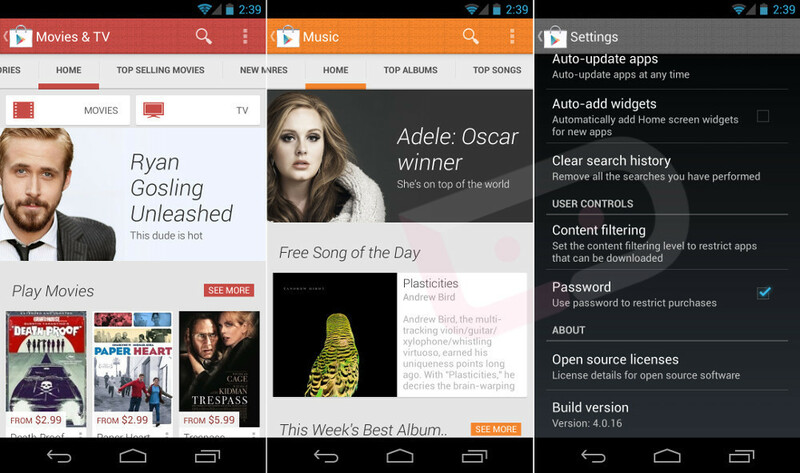 The only entry present initially is Home, which returns you to your home screen upon selection. 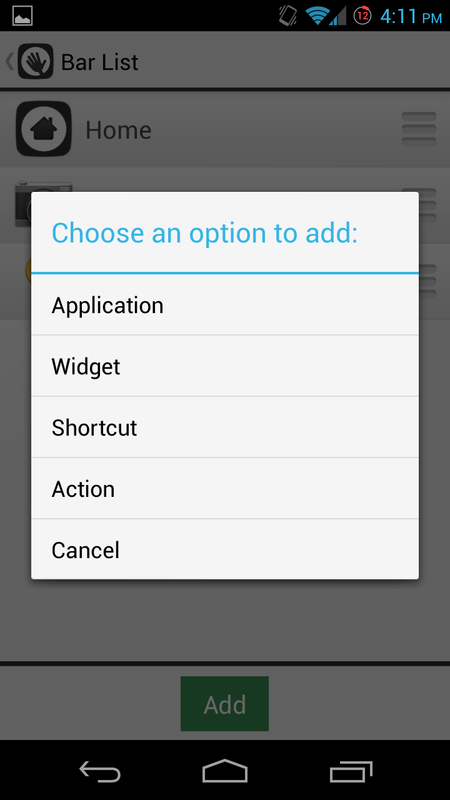 Select the Add button at the bottom to pin not only apps, but also widgets, shortcuts, and other actions. The only gripe I have about this portion of the setup is that the list of apps is not arranged alphabetically, meaning you have to scroll through your entire list of apps hoping to stumble upon the one you want. I am not sure whether this is a conscious choice by the developer, a bug, or something else, but nevertheless, it is but a minor annoyance. 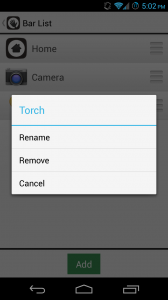 To edit the name of or remove an entry in the list, long-press the entry and select the appropriate option in the menu that appears. After you have selected all of your entries, the launcher should be ready to use. 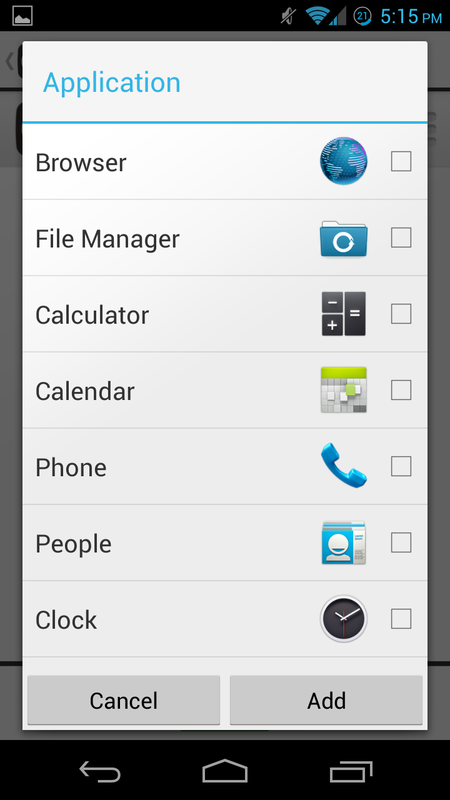 Return to your home screen and touch and hold in the area you designated earlier in the Configuration section. After the bar reveals itself, continue holding your finger down as you move up and down the list. 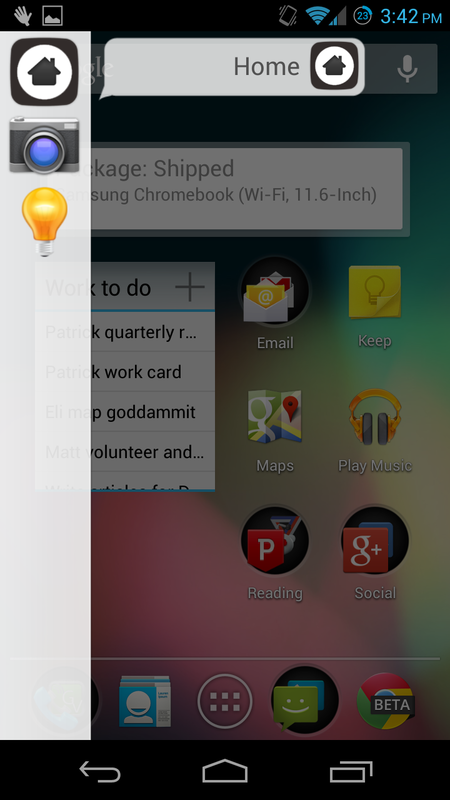 The name of the app, widget, shortcut, or action will pop up beside each entry as you move over it. Once you arrive at the entry you mean to select, remove your finger and whatever you selected will open or occur! 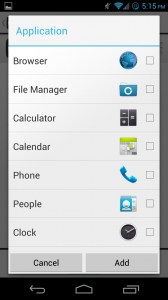 The best aspect of a launcher like Glovebox is that you can use it anywhere across the system, whether you are on your home screen or in another application. I intend to use mine in particular for apps to which I like to have quick access, but not in my home screen space. 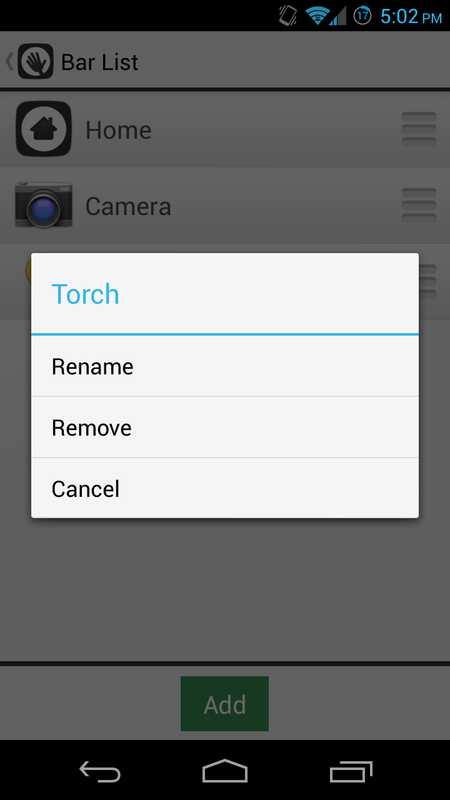 Launching the camera or turning on the flashlight in a hurry seems like a handy enough use case to justify supplementing my typical user experience with an unobtrusive launcher like Glovebox. I highly recommend trying it! And that does it for our tutorial on using an Ubuntu style launcher on your Android device! 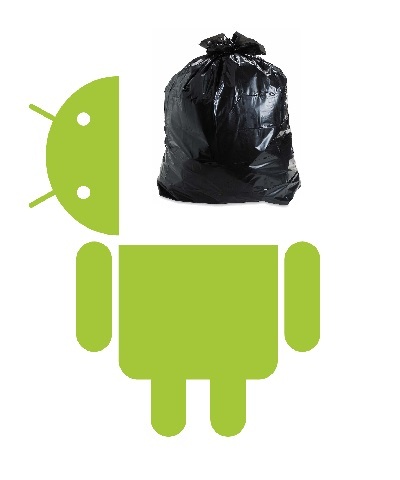 If you have any other categories you would like us to tackle, any apps you would like us to review, or any lessons about Android you would like to learn, please let us know in the comments. Thank you for reading! For an 80 year old like me that is a rather newbee to computerdom I am finding your lessons on using and managing my tablet very good.